For many, the CW event of the year is Straight Key Night (SKN). This is the time of year that you dust of the straight key and hit the bands with fellow hams who are using the most time-honored tradition for sending CW. Regardless of your sending and receiving skills on CW, SKN has a lot in store for you. Since this is a non-contest event, fellow operators are more patient with making contacts and more likely to rag chew. For many, this is the first time they’ve used their straight key since the previous year’s SKN, thus CW speeds are more comfortable for the novice across the band. 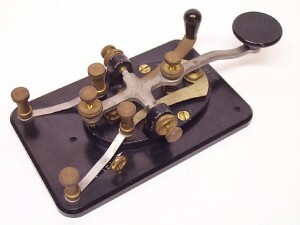 The ARRL has a great article about SKN–check it out and get pumped for a full day of straight key bliss. This entry was posted in Announcements, CW, Events and tagged SKN, SKN 2012, Straight Key Night, Straight Key Night Times. Bookmark the permalink.